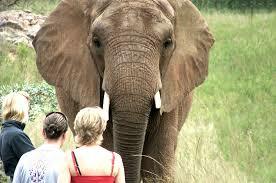 Wild World Tours will work with you and conceptualise your South Africa Safari requirements from inception to debrief. We will brainstorm with you and present packages based on your needs. We will work within your budget and design a unique package which keeps in line with our core values of a memorable experience for years to come. We offer transfer services from all the major airports to all the major parks. With our relationship in place with Golden Leopard Resorts as well as Legacy hotels, we have extensive access to all the lodges situated within the Pilanesberg National Park and the Kruger National Park. Book a tour today and experience the beauty that South Africa’s famous wildlife parks have to offer! STO rates & group discounts available. Pricing: Please enquire for quotation. This tour is dedicated to all the budding wildlife photographers out there. Three 5-hour private game drives aimed at putting you in the right place to capture that moment that lasts a lifetime. With our specialised guides having an acute knowledge of the park, you are guaranteed to see some unique and special sightings. Fully inclusive of transfers, accommodation and meals. Please enquire for wheelchair accessibility. We arrive at camp on day one to settle in, relax and enjoy the Resort and the facilities it has to offer. We then go on a 2-hour quad bike ride around Letsing National Park. We head off to Kwa Maritane to embark on a 5-hour bush walk with your cameras to catch the sights and sounds of the park on foot. This truly is a spiritual walk that will let you see the things you miss on a vehicle. We then head back for a well-earned lunch at camp before heading out on a 3-hour game drive in an open game viewer vehicle. We start the morning off with a buffet breakfast before heading back into the park for our final 5-hour game drive. We then travel back to drop you off at your hotel. 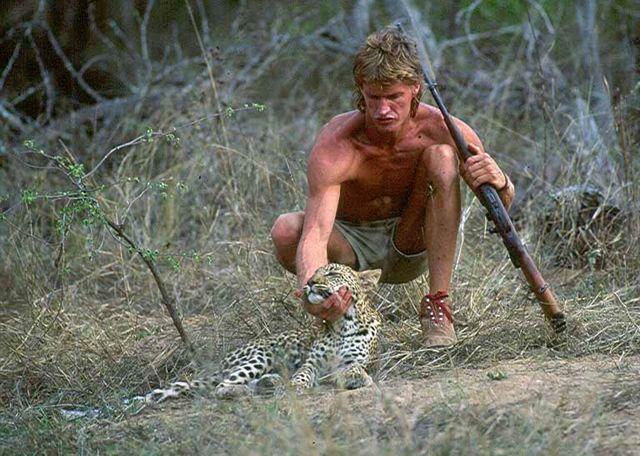 We wake up early and head out for 5-hour walk through the Pilanesberg where you will learn to track the leopards with Graham. After a long walk, we head back to camp and then go on a long afternoon drive in the park followed by an exquisite buffet dinner inside the park. Let the steaks sizzle while you listen to the lions roar around you. We start the day off with a 6-hour private game drive in an open game vehicle to go and find the prides that have eluded us so far. 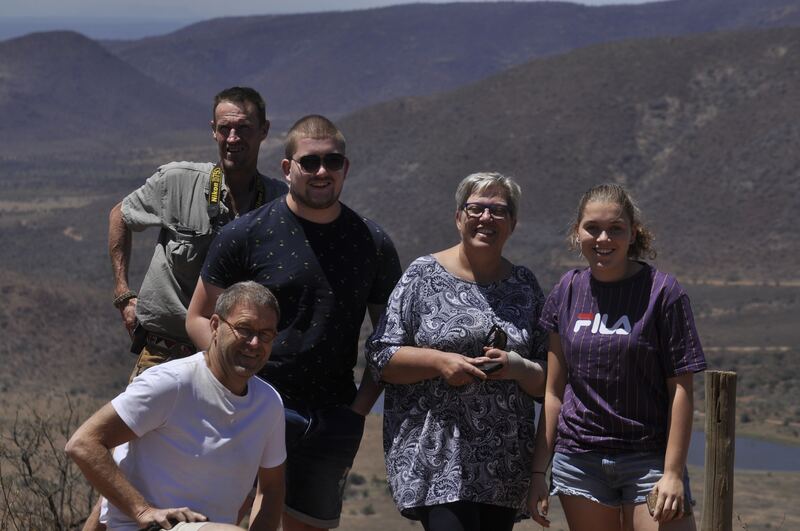 After lunch, we head out to enjoy a 3-hour quad bike ride around Letsing National Park – where from the safety of a quad and accompanied by qualified guides, you will get to see giraffe, porcupine, impala, kudu, wildebeest, honey badgers and 2 resident leopard. On our 2nd last day, we pack camp and load up the transfer vehicle before heading to our 2nd Big 5 park to find the 2 Resident leopard of the new free roaming game reserve in Gauteng. Once we arrive at our new camp, we have a quick lunch before heading out for last night drive of the tour. On our last day, we wake up early for a lesson on how to find lions on foot. This is a must for any lion lover like us as we teach you how to read the signs of Mother Nature. 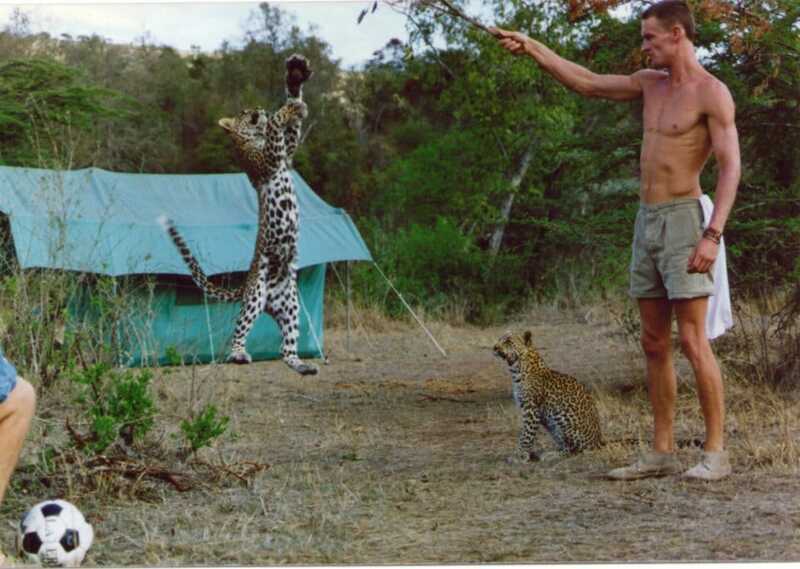 With Graham as your guide, we promise you the experience and thrill of safely viewing leopard and Lions and other members of the Big 5. No under 16’s permitted on the walks. There is world-class child care provided at the lodge. 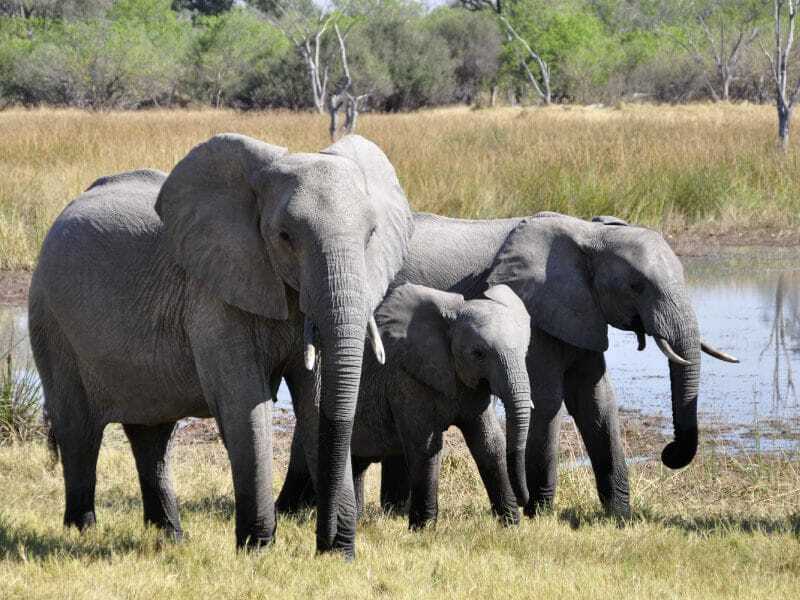 This safari tour is designed to let you see two of the best game reserves in Southern Africa, the Pilanesberg National Park and the Kruger National Park. This 5-day tour will leave you wanting more. This safari should be on everyone’s bucket list. 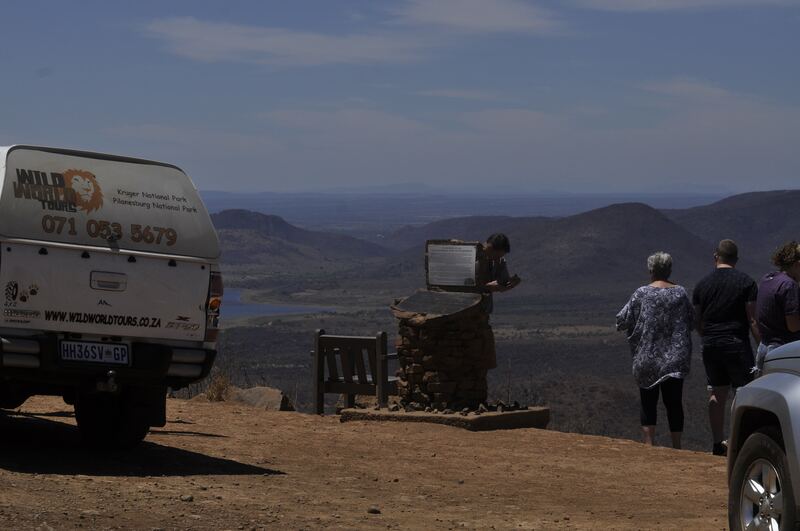 We collect you from the airport and transfer you to the Pilanesberg National park where we check into camp and enjoy some rest after your long travels. We then head to the restaurant to enjoy a traditional African Braai (BBQ). On the 1st day of the tour we head into the park for our 1st 4-hour private game drive in an open viewer game vehicle. 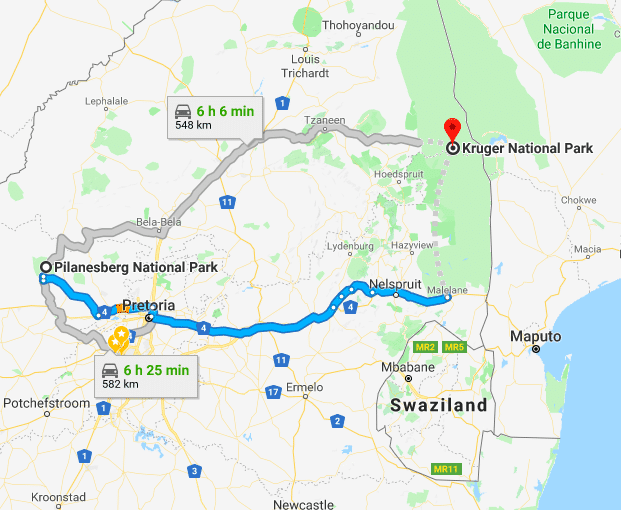 After our 1st attempt at locating the Big 5 we head to Pilanesberg centre for a hearty lunch. 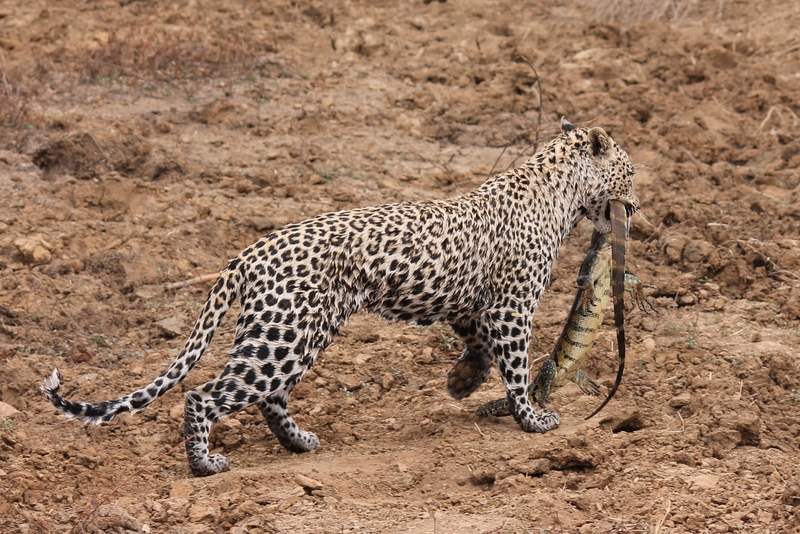 After lunch, we head back into the bush for another 3-hour game drive to find the animals we missed before heading back to camp to enjoy a delicious buffet. 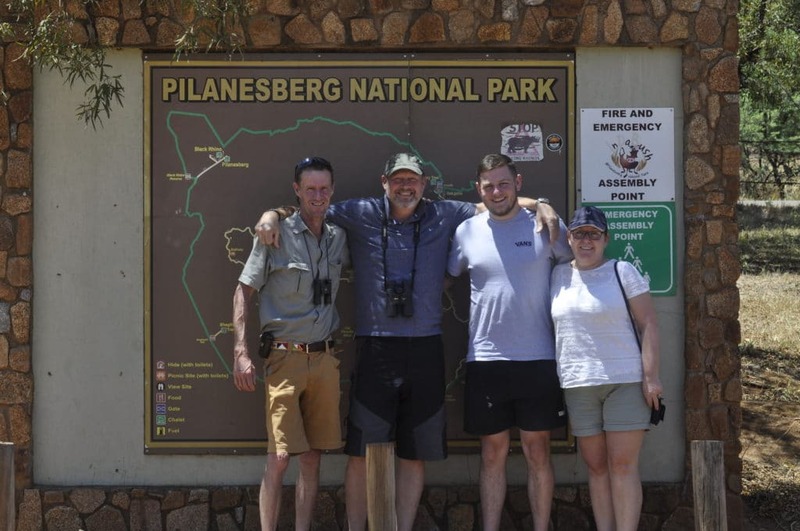 Before we pack up and hit the road, we take you on one of the highlights of the tour, a 5-hour bush walk through the Pilanesberg National Park. 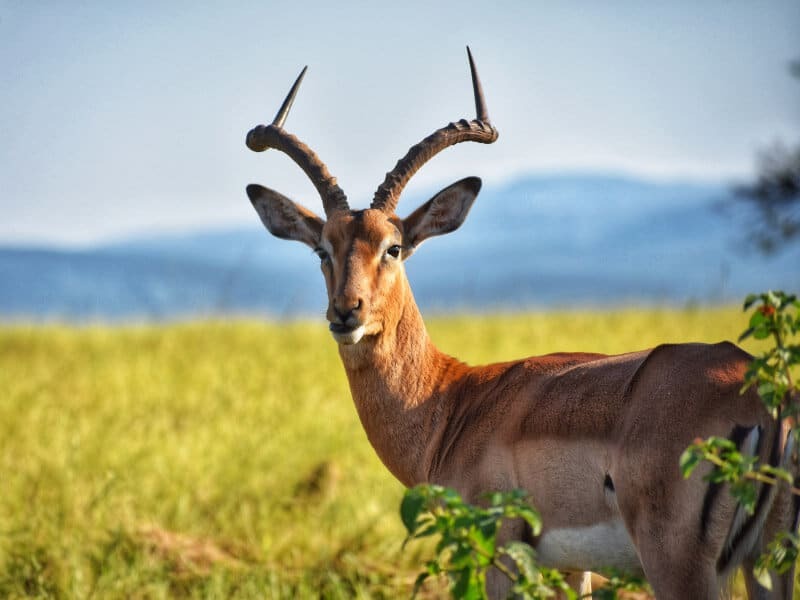 Take in the sights and sounds of the bush like never before as you witness the wildlife on foot, all while protected by 2 of our qualified rangers. After this spiritual walk, we head back to camp to get ready for the 2nd part of our journey – the magical Kruger National Park. After a long transfer, we head out into the park for a full day game drive through the Kruger, where we take you to the park’s main attractions. We then head back to camp to have your guides prepare you a traditional braai. We enjoy the evening around the camp fire listening to the lions and hyenas while the meat sizzles on the grill. We wake up early on our final day to enjoy a buffet breakfast before heading out for another walk through the Kruger Park. Afterwards, we pack up and head back to your drop-off point in Johannesburg. 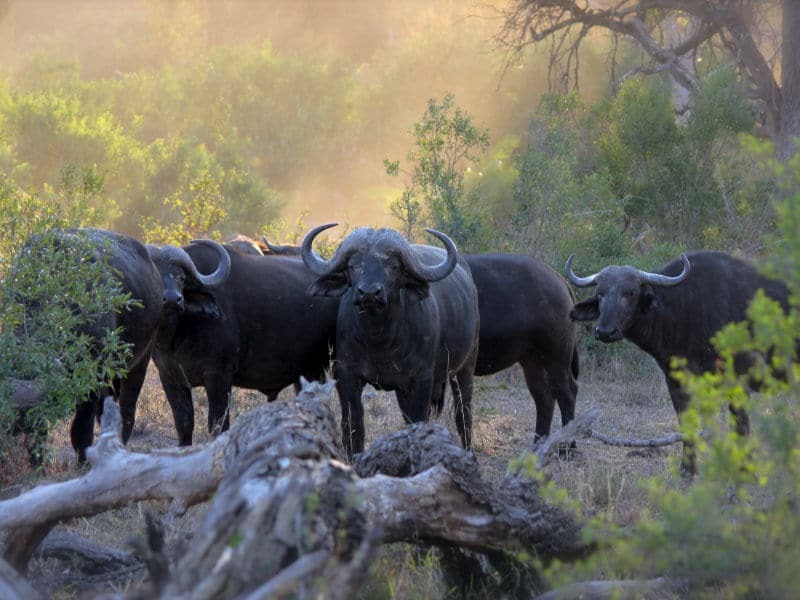 This 5-day safari tour allows you to see the Kruger from the safety of a game vehicle as well as on foot. 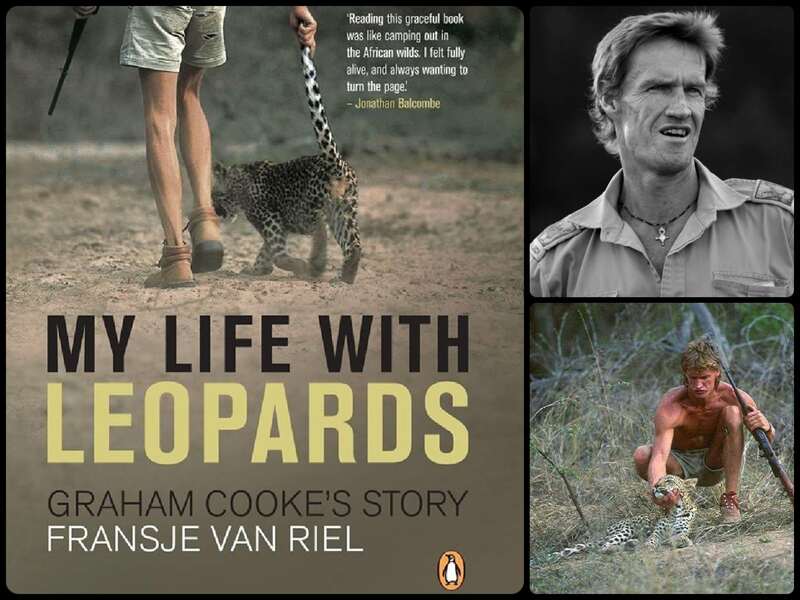 Learn, listen, live and take in all the knowledge of one of our many experienced specialised Field Guides as they show you the Kruger like never before. We visit 4 different rest camps in 4 days, as we start at the south and work our way up to the north of the Park. We Begin the journey to Kruger bright and early. Once we arrive at our 1st of 4 rest camps, we relax and enjoy a traditional African BBQ (Braai) prepared by your guide. 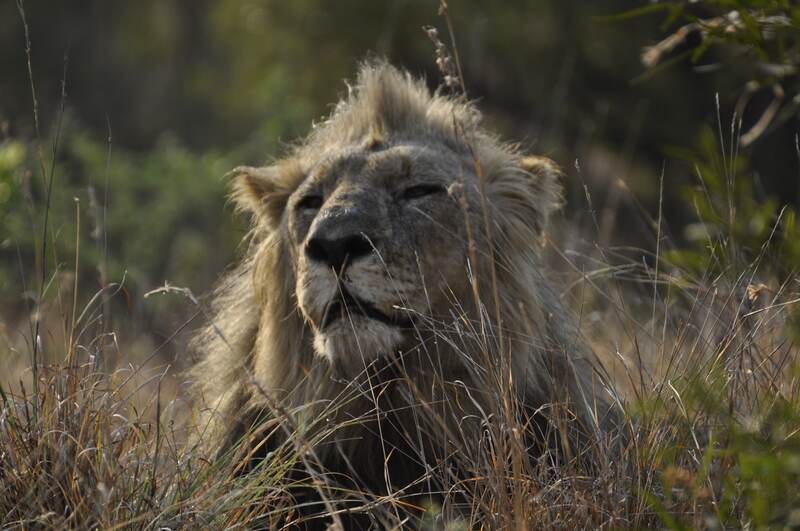 We wake up bright and early and start our first game drive to spot the Big 5. Throughout the day, we stop at a few of the historical monuments before heading to our 2nd rest camp towards the centre of the park. We start off nice and early for the highlight of the tour. We begin our 5-hour walk through the Kruger to see all the animals, flora and fauna from foot, all while in the safety of our armed rangers. After the walk, we enjoy a delicious lunch and swim at camp before we head out on a night drive. On our 2nd last day we head out to look for all the animals we have not seen yet. We enjoy a morning drive and late afternoon drive before heading to our 3rd rest camp in the northern region of the park. We head right up to the top of Kruger as we begin our journey home to Johannesburg. After a relaxing breakfast, we make way to Pinda Marie Gate to take a slow, scenic drive back to your hotel. This special safari tour is dedicated to not seeing the big 5 from a vehicle but on foot with 2 qualified rangers. 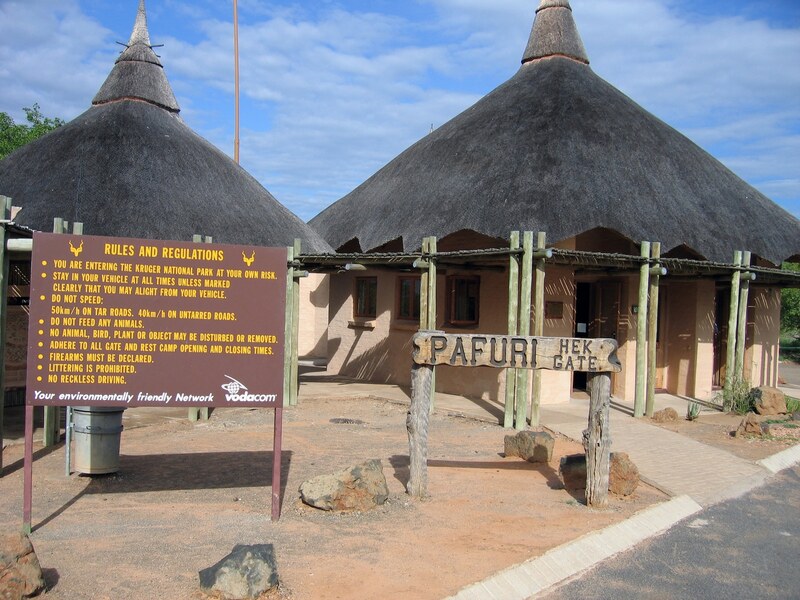 This tour is 10 hours over 2 days through South Africa’s 5th largest national park, The Pilanesberg. All inclusive and should be on everyone’s bucket list. We arrive at the park to get checked into our luxury safari tents. We then head off for a 3-hour game drive through the park. We then head back for a hearty buffet dinner at the resort restaurant. To round out the evening, we sit around a fire listening to the lions and jackals. We wake up early and set off for the 1st walk of the tour. We start our walk at 6 am and return at 11 am to feast on a much-needed brunch (snack packs catered for walks). After lunch, we head out for another drive to find the animals that eluded us on day 1. We then go out for a special night drive and boma braai (traditional African barbeque). We wake up early again to start our last walk of the tour. 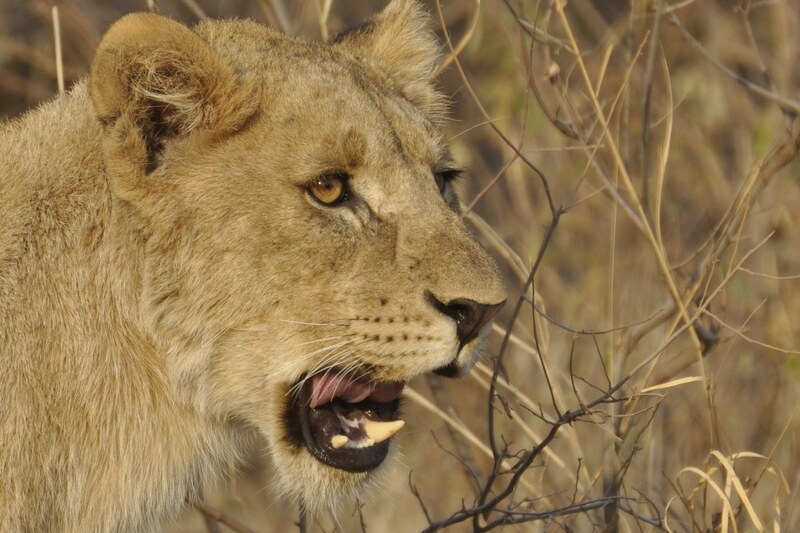 We head off to a new concession in the park and look for the rest of the big 5. After our walk, we head back for breakfast. We then leave for a final drive through the park before being transferred back to your destination.